I often love to search the forums for recent posts for ideas and perhaps awesome macros, and the one thing I think would be super handy is if we could add a spec Icon for the type of macro that is being discussed or offered. 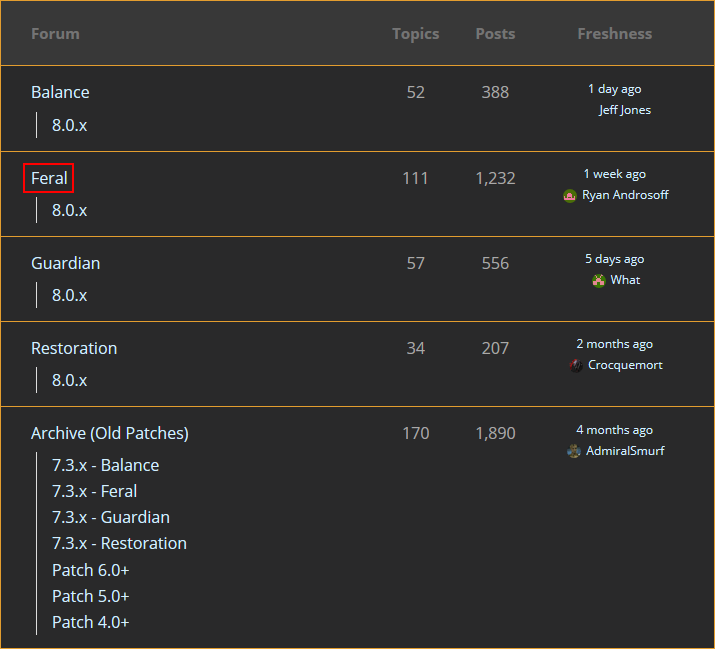 For instance next to the title have a Feral Icon from wow that we can easily see and that way we don’t waste a lot of time deciphering what kind of macro it is. I guess there’s the description at the top of the page I just noticed, so maybe this topic is irrelevant.